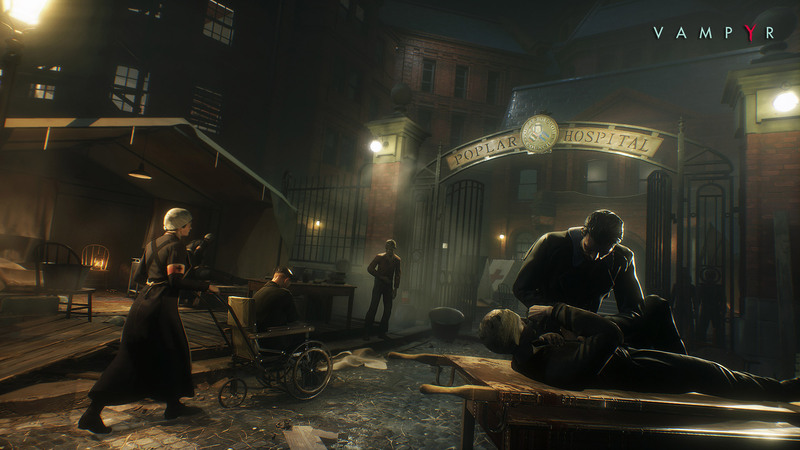 Vampyr was little more than a t-shirt with a printed title being given out last E3, or at least that was the most of what was shown then. So it was great to see how Remember Me and Life is Strange’s DONTNOD’s newest game is shaping up to, with actual gameplay. It’s a third person adventure game in the molds of Mass Effect, but with much faster combat, taking place in the dangerous streets of early 19th century London, a city riddled by the Spanish flu, poverty and of course, vampires. The hands-off demo started out at a funeral of a girl, seemingly buried after dying under mysterious circumstances. Jonathan Reid, former surgeon turned vampire, watches from afar, hiding in the shadows, before approaching the casket and questioning his life choices and eventual fate. Things aren’t just hinged on drama, though, placing a heavy load on fighting against enemies such as vampire hunters, members of an ancient order hell bent on eliminating the fanged treat from the face of the earth. From watching the pre-alpha demo being shown, the combat seemed very fluid, making use of the fiction in order to infuse some vampiric excuses for some ridiculous moves, like turning into mist in between combos and such. The demo went on to show many of the game’s more distinctive features, sure as the moral implications of harvesting blood off of innocents, with the trade between being good or being powerful, with Reid’s internal conflict with his dying humanity. Blood not only seems to boost Reid’s powers, but is also used as currency for items and such. Then again, some people seem like more trouble than they’re worth alive, so in one particular case, the dev handling the demo picked one civilian who just happens to be a racketeer with a secret which he happened to stumble across during exploration. So by using mesmerize, one of Jonathan’s vampiric powers, he was able to lure his victim to a secluded place, where he fed upon, closing the demo off. The presentation was short, but the little we were shown showed great promise. It makes the wait til next year even harder. 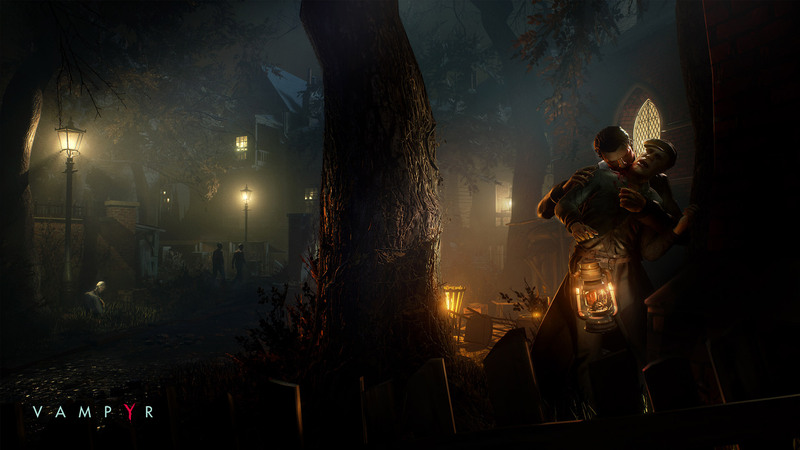 With no precise date of release, DONTNOD was pretty adamant we should be seeing Vampyr hit stores sometime in 2017.